PageFreezer is pleased to announce the release of our Website Archiving API (Application Programming Interface). Our API has been designed to allow both our technology partners and customers to integrate our website archiving capabilities in their own apps and platforms. 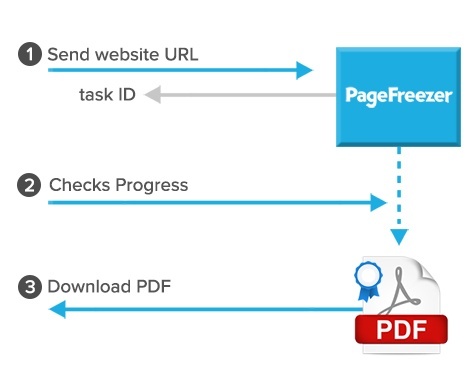 Developers can now capture any webpage as an accurate digitally-signed searchable PDF. Solutions that would benefit include capturing webpages that are linked in social media messages, emails or office documents. The PageFreezer API puts powerful website archiving technology in the hands of everyone and opens up a whole new line-up of applications for compliance, eDiscovery or other workflow tools that require web data collection.